Roseburg, also known as the timber capitol of the nation, is located in the heart of the “Land of Umpqua”. This southern Oregon city is home to 22,437 residents. This place is the ultimate playground for the outdoor enthusiasts! Choose from many lakes, waterfalls and Rivers. If you are seeking an exciting day trip, partake in a wine tasting tour of the many wineries throughout the beautiful Umpqua Valley. If you are feeling a little more daring than that, head to the Casino for a night of chance. You can also visit the nearby, world famous, Crater Lake or head West for an hour to enjoy the magnificent Pacific Ocean! The world is at your fingertips. 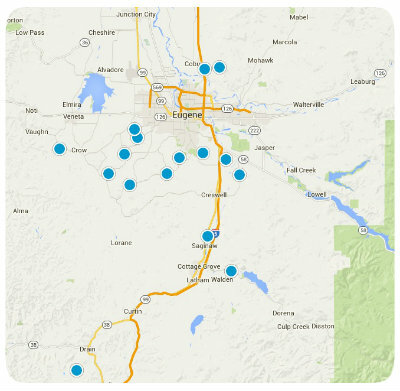 If you have any questions about a home for sale in Roseburg or about the area, please let us know!